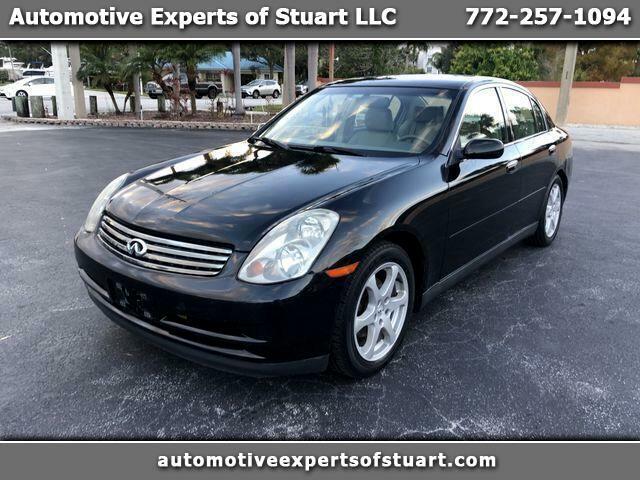 2003 Infinity G35 Sedan, 3.5 Liter V-6, Automatic Transmission, 107114 Miles, Leather Interior, Dual Power Seat, Power Sunroof, Tilt Steering Wheel with Mounted Audio and Cruise Controls, AM/FM/CD Premium Sound System, Alloy Wheels, Dual Front and Side Airbags, Anti Lock Braking System and Much Much More. Contact me at your convenience. Automotive Experts of Stuart is the prominent Used/Pre-Owned car dealer serving the Stuart, Treasure Coast and Palm Beach areas for over 20 years. We are dedicated to providing our customers with the best customer service, quality, and value. With a large range of Used/Pre-Owned cars available from the top auto makers. Automotive Experts of Stuart also offers several financing options that will help you stay on budget. You can get pre-qualified by simply completing our online credit application and we will contact you with programs you qualify for. Automotive Experts of Stuart Guarantees financing for all types of credit. We Also offer extended service contracts. Automotive Experts of Stuart also will pay more than any other dealer for your trade. Whether you are buying one of our Used /Pre-Owned vehicles or not, Automotive Experts of Stuart will pay more. Drive home with the vehicle you want, and a price you will love. Automotive Experts of Stuart. Buy with Confidence. Visit Automotive Experts of Stuart LLC online at automotiveexpertsofstuart.com to see more pictures of this vehicle or call us at 772-257-1094 today to schedule your test drive.  Message: Thought you might be interested in this 2003 Infiniti G35. At Automotive Experts of Stuart LLC we are proud of the quality used cars we sell and our dedication to serve the needs of our customers. This is reflected in the amount of repeat business we receive. Whether this is your first purchase with us or one of many that you’ve had, you can count on our dedicated sales staff to make it the best buying experience possible.